"Santiago Ascenco of Brazil overcame a 1:58 deficit after the swim to finish in 3:59:33 with a 3:12 margin of victory over Andy Potts of the U.S. and 5:14 over 3rd place Felipe Barraza of Chile." "Ascenco came out of Lake Villarica with a 7th best swim split of 27:45 which left him 1:58 behind swim leader Felipe Barraza of Chile, 1:02 behind Andy Potts and Canadian Taylor Reid, and 1:05 behind Chilean Felipe Van De Wyngard. 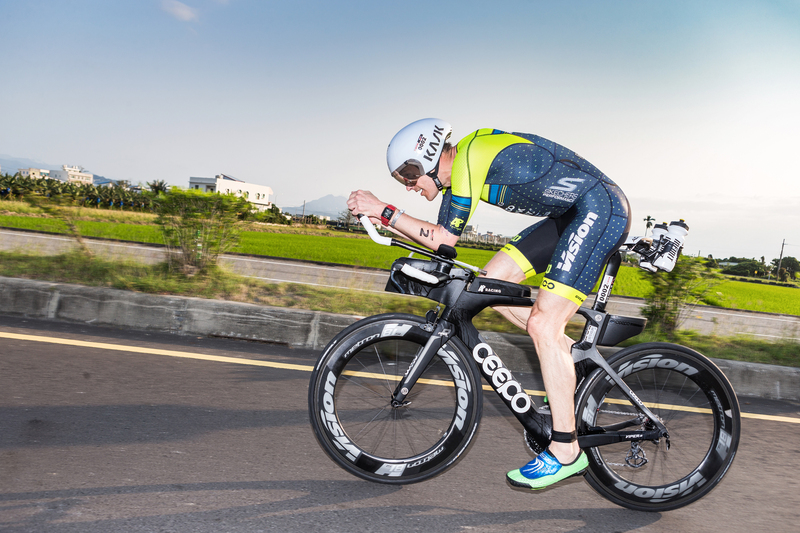 After a race-best 2:09:51 bike split, Ascenco entered T2 in second place, 18 seconds behind Van de Wyngard, 3 seconds ahead of Potts, 54 seconds behind Barraza, and 57 seconds behind Reid." Potts was also able to overcome a deficit at the swim with a stellar performance on the bike (2:10:44) and a great run to finsh the day (1:20:58). "Ascenco cinched the deal with a dominating 1:17:55 half marathon – 3:03 faster than the next best run split of runner-up Potts – which brought the Brazilian to the line in 3:59:33 with a 3:12 margin of victory" over a well fought 2nd place for Potts.